Francisco Kjolseth | The Salt Lake Tribune) A voter drops her ballot at an official ballot drop box that doesn't need a post date at the Salt Lake County complex on Election Day, Tuesday, Nov. 8, 2016. It’s no secret that Utah County has had more than its share of recent election-related problems. In the county’s first venture with vote by mail last year, it mistakenly sent ballots for the Republican congressional primary (meant only for those registered with the GOP) to 68,000 unaffiliated voters. Election night ballot counting was marked by long delays — which the county clerk said were due to a special request from U.S. House Speaker Paul Ryan, R-Wis., to make the tally as complete as possible in the special congressional contest. After the election, state officials reported that errors had invalidated 2,419 votes in the 3rd District congressional race — 70 percent of them in Utah County. In an effort to fine-tune its voting processes, the county is stepping back this year from an all-by-mail system, meaning registered voters won’t automatically receive their ballots in the mail as they did in 2017. The county instead will rely on a mix of in-person voting and voting by mail only for those who sign up for absentee ballots. “Based upon the equipment we have, a funding decision by the [county] commissioners and because we still weren’t quite there to handle the higher turnout that comes in [state election] years, we decided that we would go ahead and continue with the hybrid option,” said Utah County Clerk/Auditor Bryan Thompson, noting that those who would like to vote by mail still can if they request an absentee ballot at vote.utah.gov. 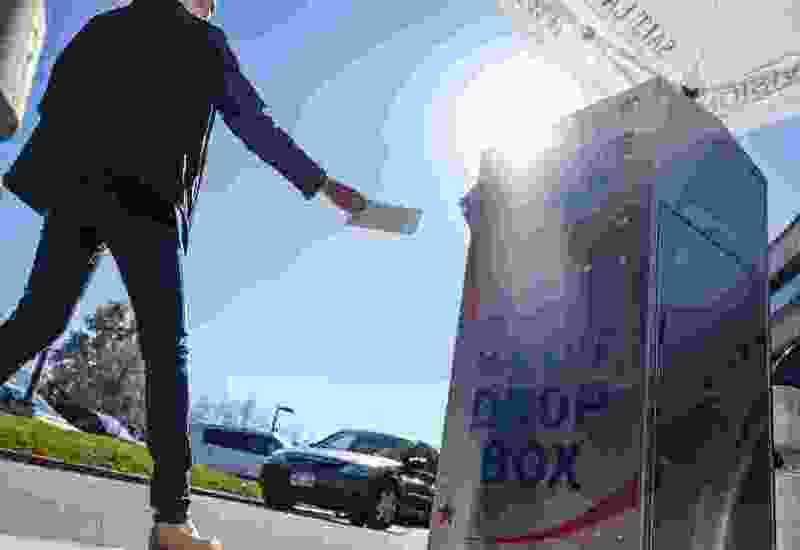 But some of the cities that contracted with the county to do vote by mail in 2017 are now expressing concern that returning to the old system would be going backward and are encouraging the county to reconsider. Provo Mayor Michelle Kaufusi also noted that the move back to traditional voting may confuse residents. Kaufusi and Downs lauded the benefits of the vote-by-mail system, including increased voter participation and the ability for voters to do research as they have their ballots in hand. In the 2016 general election, 21 counties voted by mail — and all of them had higher turnout than the eight that didn’t. And in last year’s 3rd Congressional District race, the only two counties using traditional in-person voting saw far lower turnout than the other five. In last year’s election — a municipal election, plus a single countywide contest — the lower off-year turnout generated a return of 90,00 ballots. But this year, Thompson expects to see around 130,000 and says the county doesn’t currently have the capacity to handle that kind of volume in mail ballots as quickly as cities would like. Utah County is looking to buy equipment that would slice open envelopes and help verify signatures, which would make it easier to handle another by-mail election in the future. But at least for this year, Thompson said, the county plans to continue using the equipment it currently has, which is certified through 2020. If it’s an issue of resources, Downs noted that the county could train poll workers to assist with ballot counting — as Orem did when it first implemented vote by mail in 2015. Kaufusi, Provo’s mayor, also noted that she would like to see the county take a second look.